Writing this blog several weeks after their wedding is bittersweet. Sam and Matt's wedding was beautiful, full of deep intimacy as family members who have not been all together in years reunited to support their union. It was a joining of two people crazy enough to date in high school, and a gathering of loved ones across the globe. I look back on all these photos and am struck with how beautifully simple life is. We live, we delight, we celebrate, we grieve, we welcome, we say goodbye. Sam and Matt got ready for their vows in the historic home of Matt's grandparents. Although the wallpaper was faded and pealing, I loved thinking about the years and years of life those walls had witnessed. They provided such an apt backdrop. 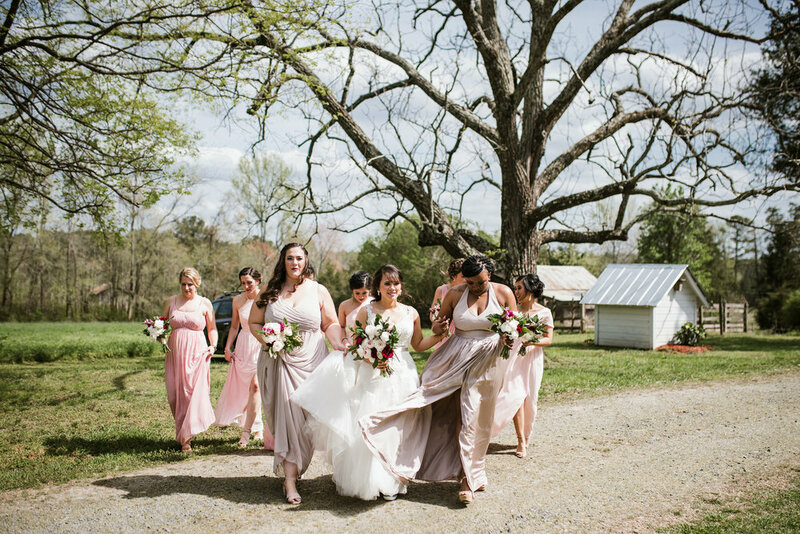 Matt's parent's farm was the perfect venue, rustic and dreamy. The long grass, looming trees, white-columned home and warm light sent the couple off to the rest of their lives in such a vibrant way. 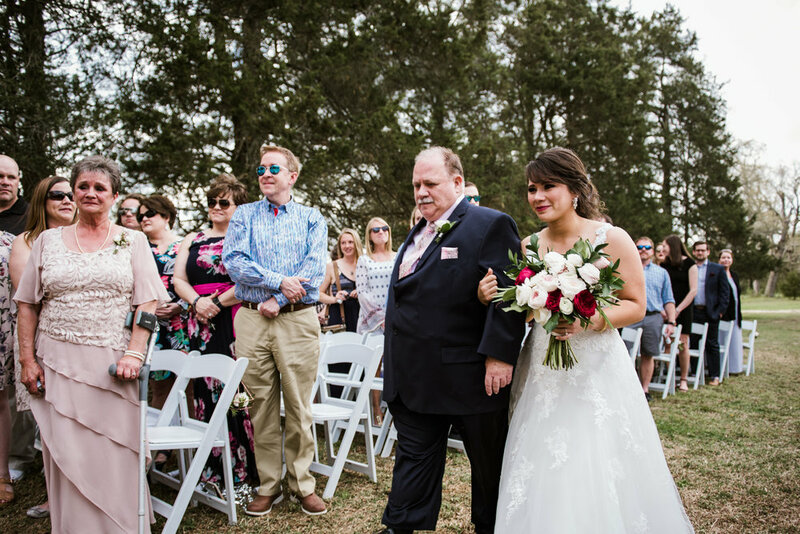 Reviewing this vintage backyard wedding is especially somber and sweet as this was the last time the whole family gathered with a very important member, Sam's grandfather. I learned the other day of his passing, and I thought there was no better time to reflect on their wedding than now. May this glimpse of this day cherish the wonderful life that he lived. I am reminded of the importance to capture these memories well since it is the memories that promise to live on. We wish you all the happiness in the world Sam and Matt. Thank you for letting us tell this story. In memory of James Derry, paternal grandfather to bride.